Spitsbergen Outdoor Activities is an individual enterprice and our partner Svalbard Kayak Center AS is a limited company. We have well educated guides that do seasonal work. 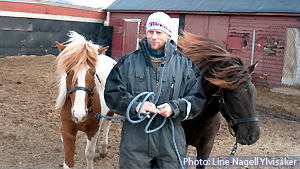 Experienced horse guides, kayakers and mountain and glacier people. 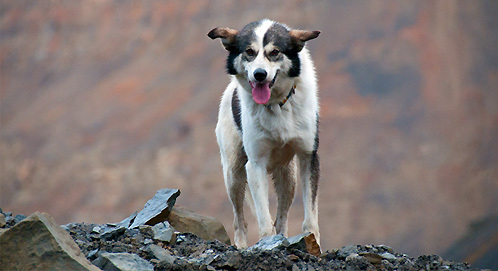 Animals on the team: 4 Icelandic horses and one Alaskan husky named Solan Gundersen. Our trips are constructed for small groups. We do have a minimum of 2 participants to run our tours. Once you are booked (min 2 persons) your trip will not be cancelled, unless extreme weather that may be a hazard. The manager is Jorn Dybdahl (1961) from Larvik, Norway. He moved to Spitsbergen 1985. Educated engineer and professional welder. In Spitsbergen he been involved in the coal mining industry, technician at the University Studies in Svalbard and engineer at the Norwegian Polar Institute. Several seasons at Troll in Antarctica for NP. Nature guide in Spitsbergen and location manager for movie and television teams. Skipper on a 50 feet motor/sail ship taking scientists and photographers around the islands of Svalbard. Experienced kayaker, skier and dedicated cyclist and surfer. Politician in the local government in Longyearbyen. Kopirett © 2016 Spitsbergen Outdoor Activities. Alle rettigheter reservert.